There is only one name you should trust when you need construction storage containers in Phoenix AZ. This company has been serving the area for over fifty years providing the perfect temporary onsite storage for the contractor base of Phoenix. 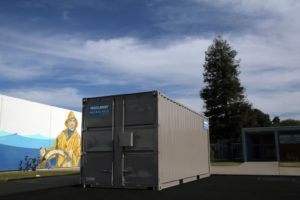 The name you trust when you need construction storage is Haulaway Storage Containers; the company that provides you the storage solutions you need and the containers that fit on your site and in your budget. Haulaway does things differently and makes it easier for you to enjoy the storage experience. How does Haulaway Storage Containers give you the solutions you need? This is one of the only companies with construction storage containers that offer you a variety of sizes including ten, twenty, twenty-one, twenty-six and forty foot sized containers. They also promise to have your temporary onsite storage containers in place the next day with their amazing service. Toss in the security of the Rhino Locking System and the doors on each end of the containers and you have the right construction storage containers in Phoenix AZ for you to enjoy the solution you need for storage during your construction project. Using a construction storage container isn’t always only during a build or remodel. Some retails stores need temporary onsite storage during busy times of the year to ensure they can have the secure space needed for additional inventory. These storage know the best name for construction storage containers in Phoenix AZ is Haulaway Storage Containers for their secure, wind and water resistant builds that protect the valuable inventory kept inside. Don’t pay for a container that’s too large or wait days or weeks to have a container delivered; call Haulaway today and start storing tomorrow.